EOG Resources Inc (NYSE:EOG) shares haven’t seen a lot of action during the third quarter. Overall, hedge fund sentiment was unchanged. The stock was in 37 hedge funds’ portfolios at the end of December. At the end of this article we will also compare EOG to other stocks including Schlumberger Limited. (NYSE:SLB), Boston Scientific Corporation (NYSE:BSX), and Deere & Company (NYSE:DE) to get a better sense of its popularity. 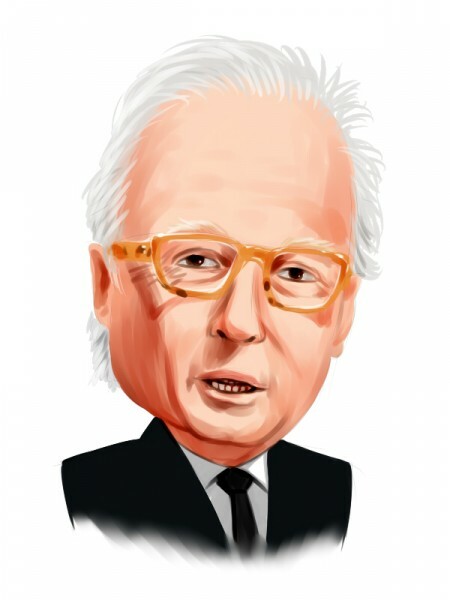 Let’s take a gander at the fresh hedge fund action surrounding EOG Resources Inc (NYSE:EOG). At Q4’s end, a total of 37 of the hedge funds tracked by Insider Monkey held long positions in this stock, a change of 0% from one quarter earlier. 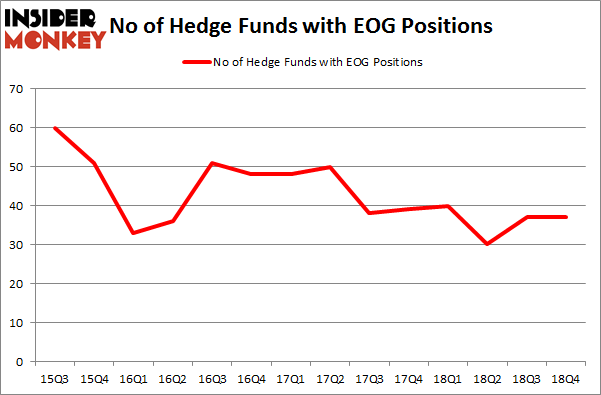 On the other hand, there were a total of 40 hedge funds with a bullish position in EOG a year ago. With hedgies’ positions undergoing their usual ebb and flow, there exists an “upper tier” of key hedge fund managers who were boosting their holdings significantly (or already accumulated large positions). Among these funds, Millennium Management held the most valuable stake in EOG Resources Inc (NYSE:EOG), which was worth $103.3 million at the end of the third quarter. On the second spot was Renaissance Technologies which amassed $94.6 million worth of shares. Moreover, Ariel Investments, Citadel Investment Group, and Levin Capital Strategies were also bullish on EOG Resources Inc (NYSE:EOG), allocating a large percentage of their portfolios to this stock. Seeing as EOG Resources Inc (NYSE:EOG) has witnessed a decline in interest from the entirety of the hedge funds we track, it’s easy to see that there is a sect of money managers that elected to cut their positions entirely by the end of the third quarter. At the top of the heap, Rob Citrone’s Discovery Capital Management sold off the largest position of the 700 funds monitored by Insider Monkey, comprising an estimated $48.4 million in stock, and Ken Heebner’s Capital Growth Management was right behind this move, as the fund sold off about $15.3 million worth. These moves are interesting, as total hedge fund interest stayed the same (this is a bearish signal in our experience). Let’s go over hedge fund activity in other stocks similar to EOG Resources Inc (NYSE:EOG). These stocks are Schlumberger Limited. (NYSE:SLB), Boston Scientific Corporation (NYSE:BSX), Deere & Company (NYSE:DE), and General Motors Company (NYSE:GM). This group of stocks’ market caps match EOG’s market cap. As you can see these stocks had an average of 51.25 hedge funds with bullish positions and the average amount invested in these stocks was $2755 million. That figure was $520 million in EOG’s case. General Motors Company (NYSE:GM) is the most popular stock in this table. On the other hand Boston Scientific Corporation (NYSE:BSX) is the least popular one with only 46 bullish hedge fund positions. Compared to these stocks EOG Resources Inc (NYSE:EOG) is even less popular than BSX. Our calculations showed that top 15 most popular stocks among hedge funds returned 19.7% through March 15th and outperformed the S&P 500 ETF (SPY) by 6.6 percentage points. Unfortunately EOG wasn’t in this group. The small number of hedge funds that bet on EOG were disappointed as the stock returned 2.1% and underperformed the market. If you are interested in investing in large cap stocks, you should check out the top 15 hedge fund stocks as 13 of these outperformed the market. Were Hedge Funds Right About Buying Costco Wholesale Corporation (COST)? Hedge Funds Have Never Been This Bullish On Thermo Fisher Scientific Inc. (... Were Hedge Funds Right About Dumping Twenty-First Century Fox Inc (FOX)? Do Hedge Funds Love Diageo plc (DEO)? Itau Unibanco Holding SA (ITUB): Are Hedge Funds Right About This Stock? Were Hedge Funds Right About Buying United Technologies Corporation (UTX)?